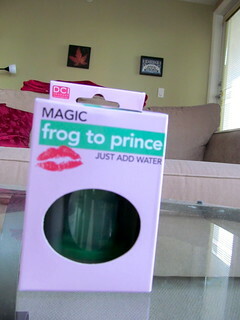 My friend Heather1 gave me a very thoughtful present – a frog that turns into a prince2! 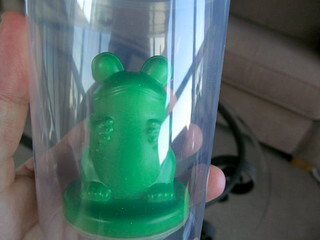 Isn’t this a cute little frog? 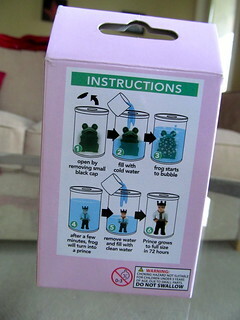 The instructions said that you just needed to add water and in a “few minutes” your prince would turn into a frog. 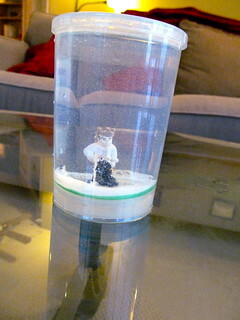 And I figured that I should record this event for posterity and science. Of course, what the instructions *don’t* tell you is that by “a few minutes” they actually mean *42* minutes. What follows are 42 mins worth of video, most of which is just a frog with bubbles coming out of it. At one point an eyeball falls off and then many minutes later another eyeball falls off. 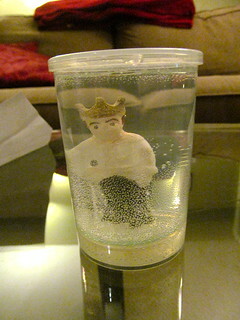 Then more bubbling for ages and ages until finally there is a prince. I highly recommend not watching these videos, unless you are suffering from insomnia and are looking for a cure. The funny thing is, I posted these videos several days ago, when I turned my frog into a prince, with the intention of blogging about how they are unwatchable. But then a few people – who I assume must just follow my YouTube “channel”3 actually watched them and then were all like “omg, that was boring” or “you need to learn to edit!” So, apologies those folks! Who now sits on my mantle, near my frogs. It’s like the circle of life! 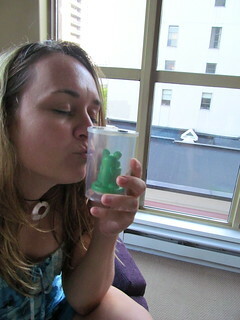 Thanks for my frog prince, Heather!